It might seem strange, but although we’re continually adding to this website, we seldom visit it ourselves. Thus it was that Roxanne, checking something out the other day, discovered that the crew list portrayed her as a gawky eleven year old. It was eight years ago that we put the ‘crew’ biographies on line, and none of us had been back there since. Pretty much the same goes for the pages describing the boat and our travels – they’re way out of date now – so this week we’ve been updating the whole lot. This article will eventually find its place on the Crew page. Nick is the one who started it all. He had already girdled the world with his parents – in a scant six years – and having done so he decided that this way of life was the only one for him. Besides being the captain Nick also does almost all of the maintenance while the rest of us faff around, cooking and washing up and writing masterpieces. His forte is fixing engines and other mechanical things. Caesar is Nick and Jill’s first child. He was born into the lifestyle and was almost five before he discovered baths, hot-water taps, flushing toilets, and TV. He has spent his whole life cruising, and now that he is old enough to do his own thing he also works on other people’s boats. He long ago usurped his mother to become first Mate and nowadays takes it in turn with his dad to skipper the family home. Thus, we miss him very much when he is away. Caesar is very easy-going and friendly with an almost perpetually sunny disposition. In short, he is a great credit to the lifestyle. Roxanne is Caesar’s younger sister. 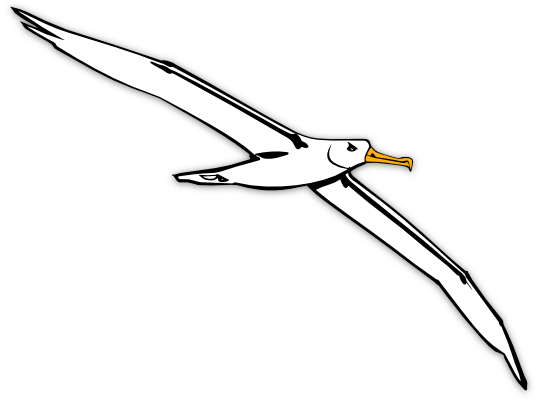 Like him, she has never known any home other than a boat, but unlike him she can also boast that she was actually born aboard; however, Roxanne is not actually given to boasting. She’s the quiet member of the family, and she spends a lot of time writing and drawing. Her main preoccupation is the environment – as, indeed, it should be for all people – and she disdains to buy new clothes, or any other new stuff, being painfully aware of the ecological cost. Roxanne is a very talented writer and draws marvellous pictures of itsy-bitsy insects. She is a tremendous asset to the planet. Xoë is the middle child in the trio but has been demoted on this list as she is no longer aboard. Like Caesar and Roxanne she grew up sailing, but unlike them she did not think much of living in close quarters with her family and left us just before her 18th birthday. Despite never having been to school she had no difficulty gaining a place at a London university, and having obtained a first class degree she is now writing novels. Her talent in this arena has been very visible from the first moment that she could shape her letters. Xoë is vibrant and articulate with a ready repertoire of classical quotes and a quick wit. She is also undaunted by either a 50ft mast or stormy weather, two qualities which will stand her in good stead if she ever decides to return to the cruising life. Poppy is the ship’s dog. She has been cruising for about ten years and seems to like the lifestyle – although she still detests the motion of the boat in a big sea. From time to time the company has also included a cat. The first ship’s cat, known as Truco, signed off while we were in Spain. Our present companion is known as Fish. She joined us in Chile and – having regard for the regulations concerning the traffic of live animals – we will probably have to find a new home before the boat heads for Polynesia. While speaking of the crew, I should also mention Gean, who has sailed with us so many times over the years that he is an honorary family member. Gean hails from Sao Paulo, in Brazil. Like Nick and Caesar he’s mechanically minded and he also shares their happy-go-lucky nature. He brightens any cabin. 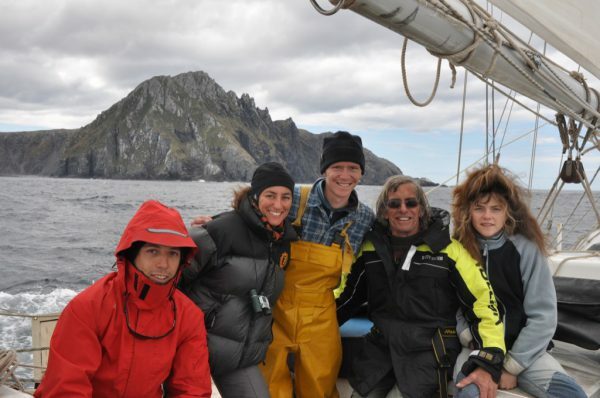 Life aboard Mollymawk revolves around the ocean and the seasons. We go wherever we want to go and we stay as long as we feel like staying (or as long as the immigration people will let us stay…). 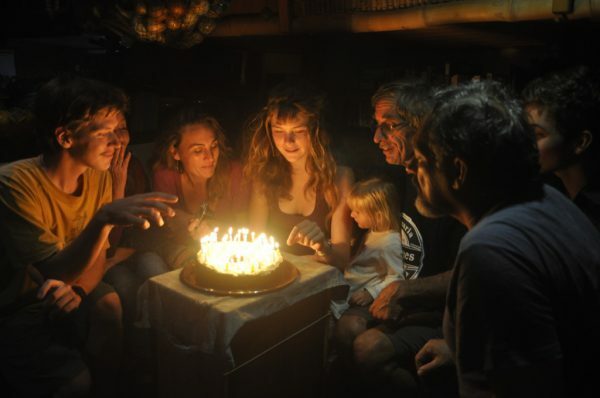 For us, as for most long-term liveaboards, cruising is more about the lifestyle than the destination. I guess the nearest equivalent in land-locked terms would be a hut on the mountian-side and five acres of farmland. Such a lifestyle would appear to entail a similar sort of independence – but I guess you’d still be subject to somebody’s rules about what you can and can’t build; and if you didn’t get on with the neighbours your only recourse would be to put your home on the market and look for another mountainside. So, for the time being at any rate, we’ll stick to cruising. Firstly, we we enjoy travelling and seeing the world and its varied occupants, and this is a low-cost way to do it, long-term. 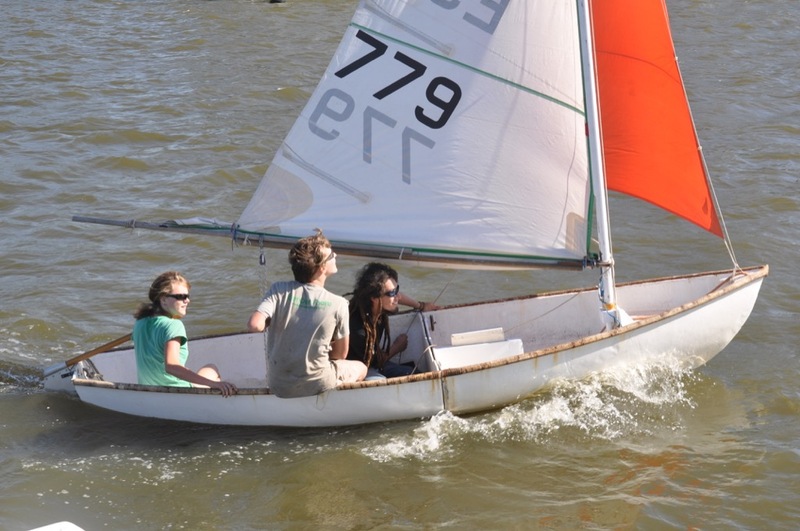 Secondly, we love ocean sailing, and we love messing about with boats. Thirdly – and perhaps most important of all – this lifestyle is one which allows us to have a relatively low impact on the environment. Fourthly (if fourthly is word), we can’t see any reason to spend our lives working. So far as that first item is concerned – Cruising is a cut-price lifestyle because there are few overheads. There are no hotel bills, and if the wind is your primary driving force then fuel costs are kept to an absolute minimum. Once you have got your boat, and provided you are capable of doing all the maintenance yourself, your food is the only major expense. Then there’s the sailing. For us, sailing isn’t just a means of carting our home and ourselves from one nice place to another, and it isn’t just a pleasant way to pass a sunshiney day. For us, sailing is quite simply one of man’s most wonderful inventions – vastly superior to the wheel, the stone axe, the micro-chip, the potato chip, or anything else that you care to name. What else have we ever invented that looks so beautiful and, at the same time, works so wonderfully well? And where else does man mesh with the elements in such a perfect a way? Just in case you’re wondering: the yellow box contains our garden – six tomato plants – with the lid of the box shielding them from the wind and spray. A passion for boats is not a prerequisite to enjoying the cruising lifestyle, because most of one’s time is spent in harbour; however, it certainly helps. 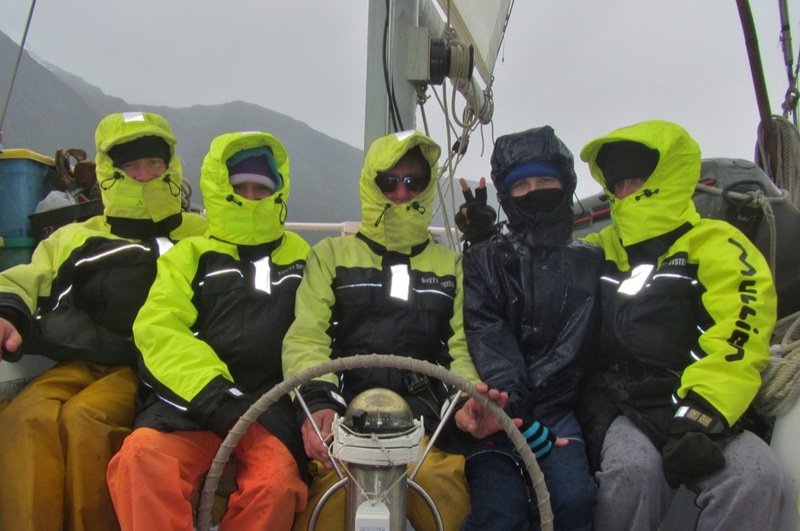 We have met many people who had little or no sailing experience before they began to cruise, and although some of them have taken to it like the proverbial duck, others have never discovered any pleasure in making long passages. 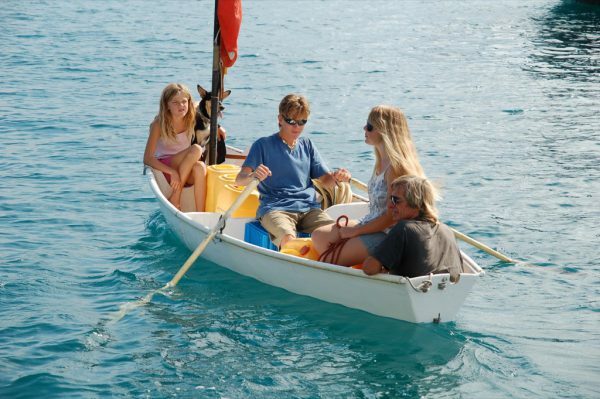 Surprising as it may seem, many cruising yotties have only a superficial knowledge of how to make the boat go. Ideally, I would recommend that anyone who is attracted to this lifestyle should try it out first: Make an ocean passage with somebody else. If that doesn’t put you off, learn to sail a dinghy and then learn to handle a yacht, and then – finally – put your money up front and invest in your own dream-catcher. This would be the route for anyone who likes to prepare themselves for a new venture – this would be the toe-in-the-water approach – but, as I say, a great many people simply dive in head first. Most survive. So far as having a low-impact lifestyle is concerned, I must stress that we are not pretending that the cruising way is perfect. We do our best. We travel with the wind; we make all of our electricity from the sun and the wind; we generally collect our drinking water from the sky or from streams; we don’t eat meat or buy fish dredged up from the dying ocean; we aim to avoid buying plastic-wrapped goods, and we buy most of our stuff second-hand – partly because it’s cheaper but mostly because recycling puts less strain on the planet than buying things which were made especially for us. We do our best every day; and every day we fail. Every day we compromise. Every time we open a packet of pasta or eat a vegetable grown with the use of pesticides and trucked to the shop, we’re compromising our ideal of a zero-impact lifestyle. Every time we have to buy a new sail or a new ship’s battery, and every time we antifoul the boat or even just daub some paint on a rust spot, we’re involving ourselves in a whole chain of environmental atrocities. Finally, so far as that fourth thing is concerned: the fact is that Nick and I are failures. We were put through the System but we came out the other side with no desire to get a job and buy a house. Rather – and purely by coincidence, bearing in mind that our backgrounds were quite different – we both reached the end of that period of indoctrination with a firm desire to avoid having anything to do with employment, mortgages, compulsory payment into pension schemes, and so forth. And we’ve been lucky enough to be able to find a way to escape from the whole package. The cornerstone of the cruising lifestyle is freedom – and that means freedom from the cycle of working to eat to work to eat; and freedom from nannying and from other ‘interference’. But being free to do your own thing also entails being in free-fall without a parachute. Plenty of folks dream of going cruising but they have nightmares about heavy weather or about being on a lee shore, or about growing old or becoming ill without the safety net of health insurance and a state pension. To be worried about such things is perfectly sensible – but we’re not worried about them. Sorry, but we just aren’t. 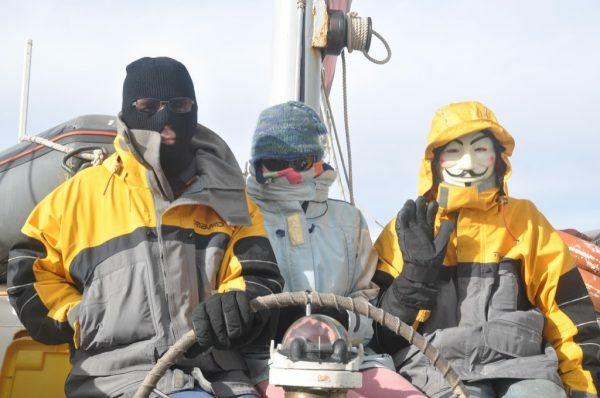 Plainly, the boat might suddenly sink; and plainly we will someday become old and ill – but we’re jolly well not going to make hay while the sun shines; we’re jolly well not going to play the game the way the Capitalist Beast wants it played. We’re going to keep on skipping through the meadow and smelling the flowers till winter. When we wake up in the night in a cold sweat it’s not with the thought of the anchor dragging or the mast coming down – not usually, anyway. Our pet horrors are of cars and concrete, of watching the telly instead of the clouds, and of slaving all day to earn a crust and queueing at the check-out to give the money back again. One man’s cosy den is another fellow’s prison, hey? Now… the thing is, I don’t want you to get the wrong idea about us. Every time these words crop up, the smile freezes on my face and my insides begin to squirm, and I feel a fraud. Besides the face to face encounters we also meet people via this website. Or rather, people think that they’ve met us. We often get messages – lovely, heart-warming, enthusiastic messages – from people who find our lifestyle inspiring. My main reason for writing, whether on this website or in books, is to share our adventures with others and to inspire, encourage, and inform; and if people didn’t write and tell us that they like what I write and find it useful, I would stop bothering! However, the pleasure I get from hearing that someone has fallen for the bait is coupled with a certain amount of anxiety. The fact is that the brief encounter afforded by this website, like a half hour chat over a beer or a coffee, doesn’t show the full picture. You’re getting the rose-tinted version – you’re getting photographs of beautiful places and stories of adventure – because if I told you how much time I spend doing the washing-up, or described the average day in the life of a cruising-yotty in a hum-drum anchorage, or posted photos of the supermarket, you’d be bored stiff. Please bear this in mind before you sell up and sail. It’s not all coral atolls and palm trees, or glaciers and spouting whales; it’s not all ocean passages and starry night watches. Those are the highlights. In between times there’s a lot of fixing the engine and dealing with the rust and filling the water-tanks; and, more than anything, from the point of view of the ‘galley slave’, there’s lots of ordinary household chores. As for the “perfect family” idea – that’s the thing that causes me the most embarrassment or concern. I’m pleased to be able to say that, by and large, this family gets along very well. Nick and I are, indeed, lucky parents – and perhaps, as one of those two aforementioned gents pointed out, our kids are lucky, too – but we are far from perfect. 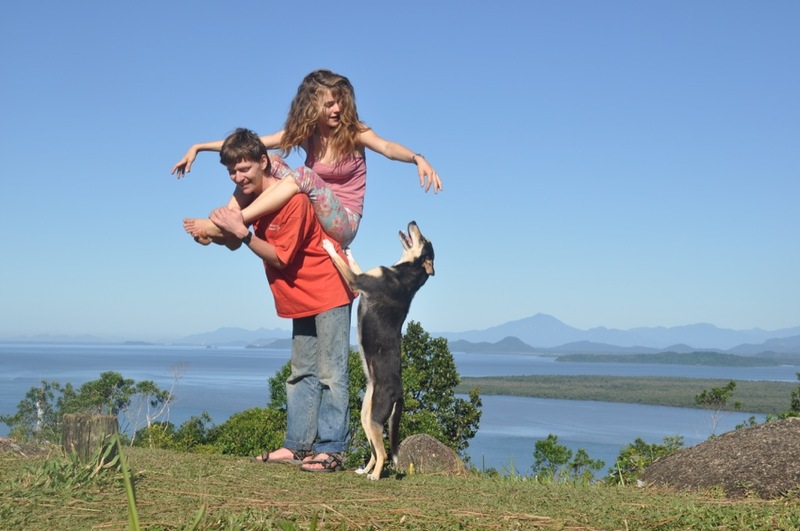 Nick and Caesar and Xoë and Roxanne are almost perfect; but me and the dog – we don’t even come when we’re called. Finally, I must mention my children’s unorthodox education. At various times, in various articles, I have attempted to describe our home-schooling’ experiences and to offer a few suggestions based on my adventures as the only formal and official Teacher that my kids ever had. As anyone who has read any of these articles will know, I am passionate about Home Schooling – or rather, to be more exact, I am passionate about not sending children off to sit in a crowded classroom and be force-fed information. I feel so strongly about this matter that if, when the kids were young, we had happened to be living in a country where home-schooling is illegal – as it is in Spain, for instance – then I would most definitely have emigrated rather than send them to school. And Nick, having also hated school, feels the same way. If there is one single thing that I have done for my kids which I know to be right – one single thing amongst the muddle of good deeds, bad deeds, and absolutely crass deeds which wake me up in the middle of the night – that one single thing is keeping my kids out of school. But this is certainly not to say that my teaching method was perfect. And this is not so say that there are no drawbacks. Nothing in this life is perfect and everything has drawbacks. The first drawback is that being Mummy and Teacher simultaneously is not easy. It is a fundamental truth that teenage girls do not like being instructed or criticised by their mothers. When I think back, we had no problems when the kids were small, and I never had any problems with Caesar. As a child Caesar hated writing – but when, as a teenager, he needed to learn the art in order to pass his English Language GCSE he proved to be a very amenable student. And he has since polished his writing and is very good at it. The girls, on the other hand, by the time they were thirteen were unable even to receive my suggestions about the use of a comma or a semi-colon. I dare say I’m not very tactful – although I certainly do my best to be, having suffered, myself, from hyper-critical parenting. I merely wish to advertise this potential disadvantage to anyone who is inspired to follow our example. It certainly doesn’t improve the mother and teenage-daughter relationship. 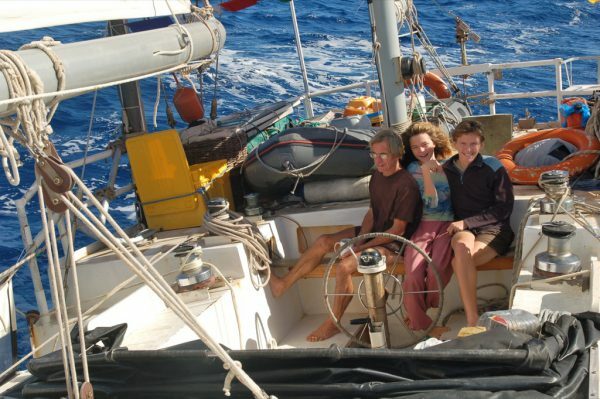 The second drawback is that Home Schooling, and the liveaboard lifestyle in general, can make it difficult for a teenage child to find the opportunity to interact with his/her peers. 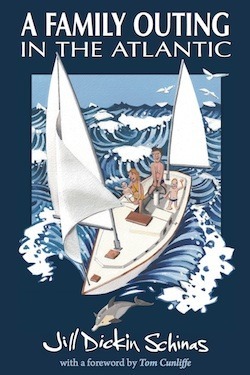 Kids brought up on a boat are almost always very much at home in adult company. Cruising yotties being a sociable crowd they are accustomed from an early age to listening to adult conversation, and as they get older they naturally join in. By contrast, I have noticed that the majority of school-educated children do not engage in conversation with adults; they seem to consider us to be an alien species and beneath their contempt. Thus, it would seem that children brought up without the strict age-ranking enforced in schools are more mature. So far so good. The problem is that there are not a lot of teenagers cruising; and, as a result, those same cruising kids who can hold their own in a discussion with adults, when they reach their adolescent years often feel awkward in the company of their peers. 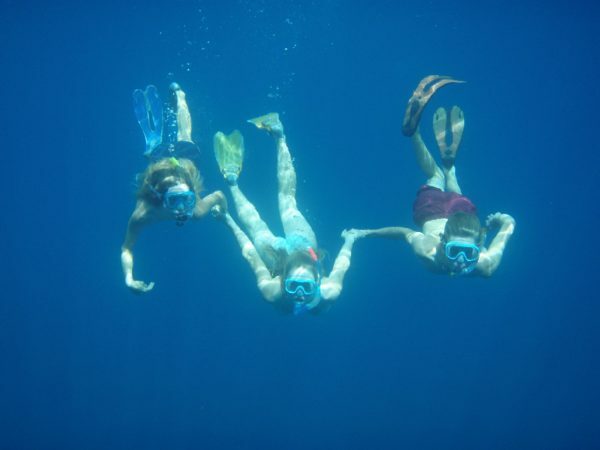 Younger children get along fine making passing friendships with other cruising kids or with their land-locked kin, and they can even thrive in the exclusive company of other siblings, but teenagers need to move beyond the family circle. Not your typical 17th birthday party. Cruising kids are generally adept at socialising with people of all ages and a wide variety of backgrounds but they often lack the opportunity to spend much time with their peer group. I think it would be fair to say that, in reality, most teenagers experience some difficulty in knowing how to act with others. This is a troubling time, when one is finding one’s identity and one’s place in society; a time of preening and posturing, and a time of great uncertainty. These years are notorious, but for the child who is raised on a boat they can be especially difficult. He is a unique being – and at that age he doesn’t want to be; he wants to blend in. One trio of home-schooled boat-kids whom I knew very well when they were small, transformed themselves, during their late teens, into fashion-conscious dudes who had to have exactly the right label on their various items of ‘hip’ clothing. They also developed a rather unattractive streak of quite vicious scorn. When I remarked on the change, the oldest child told me that it was the only way to get along in the school which he attended while the family were temporarily shore-based; but he also said that now that he was 18 and had left school he would be able to drop it all again. If you want some ideas about how to get afloat, you might like to read this. If you’re interested in Green Cruising, we’ve put together some ideas for that, too. 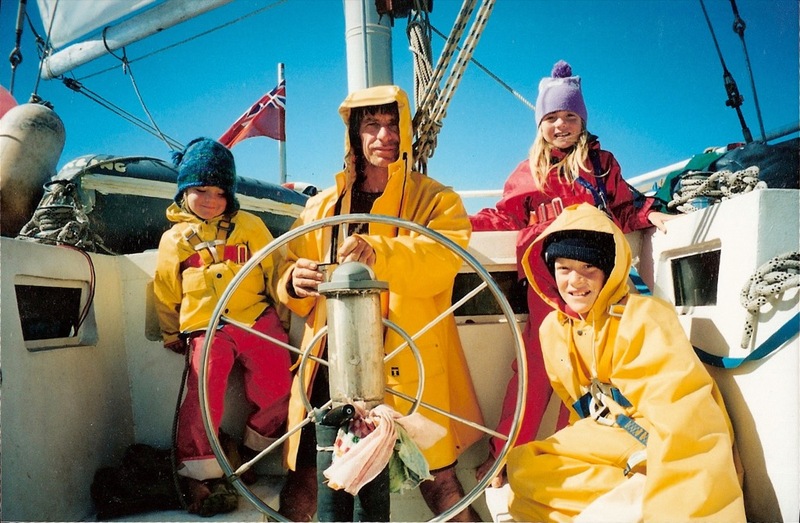 If you would like to know more about home-schooling, we suggest that you start with the Sea School article. If you’re a back-packer looking to hitch a ride, we’ve put together some tips. Please ensure that your sense of humour is in good working order before you take a look at them. If you’re a marine scientist and you want to join us in order to do some ocean research, we’d be happy to hear from you. Very enjoyable read, as usual! I love the article. I want to read more information about the boat, I understand you have a book but is not viable since I am in Brazil, any chance you would sell in epub format? I am really interested in what kind of insulation you use it. Best regards. Rafael Carvalho. We’re trying to get the book published in e-book format. It seems that it’s a bit tricky because it has so many illustrations. As regards insulation – we used cork; big, thick slabs of it. It’s not quite so efficient as polyurethane foam, and it’s heavier, but it’s better environmentally. It would be great to have the option in e-book format. Thank you. Hi Jill, just want you to know that I couldn’t wait. I ordered your book and just got it. Very excited. Now I want your autograph someday. All the best. Rafael Carvalho. Haha! Thank-you, Rafael. I hope you enjoy the books. By way of introduction, I’m Lizzie, 18 years old, home-educated and currently studying for my A2 levels. I first came upon your website after googling “GCSES and home-education” about 2 years ago, and ever since, have been reading your wonderful and witty articles documenting the family adventures. I have only now mustered up the courage to leave a comment. 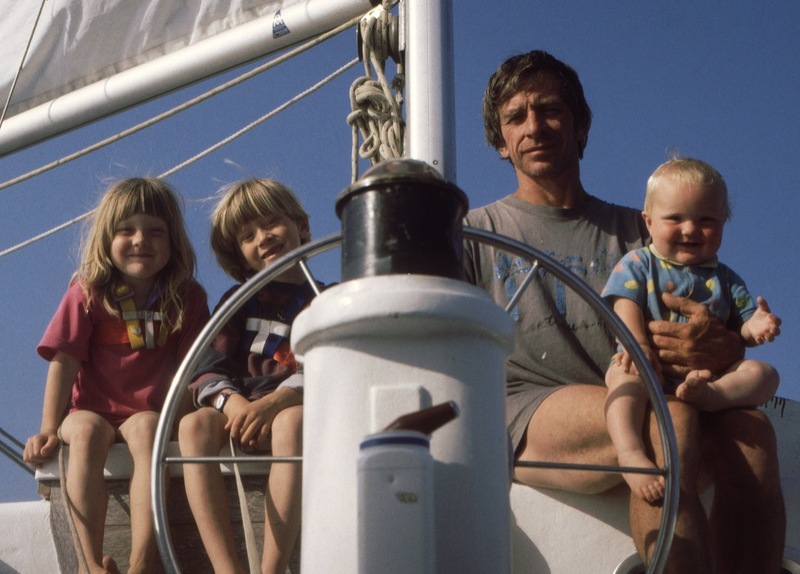 I thought I was doing something incredibly enterprising when I decided to self-teach GCSEs and A levels… little did I know that a home-educated family was bobbing about on the ocean somewhere, entirely detached, as you say, from a world of concrete, mortgages and semi-detached houses. Your family’s self-sufficiency, life-style and commitment to protecting the environment is really quite inspiring (whilst also putting my own lifestyle to shame), and I’ll be reading your articles for as long as you continue to write them. I agree entirely that home-education is the best kind of education, and all the home-educated kids I have ever met have all been, without exception, more passionate and somehow more “individual” people than their school-reared counterparts. Opting out of school was certainly one of the best decisions that I have ever made. It’s nice of you to get in touch. I would hazard a guess that you’re going to be studying Literature or Philosophy or something of that sort at uni, your writing style is so good! I hope you’ve found lots of other home-schoolers with whom to socialise – and if you want to be in touch with one who, like you, is pretty much entirely self-taught (having resisted my efforts to interfere! ), you could drop a line to Roxanne.